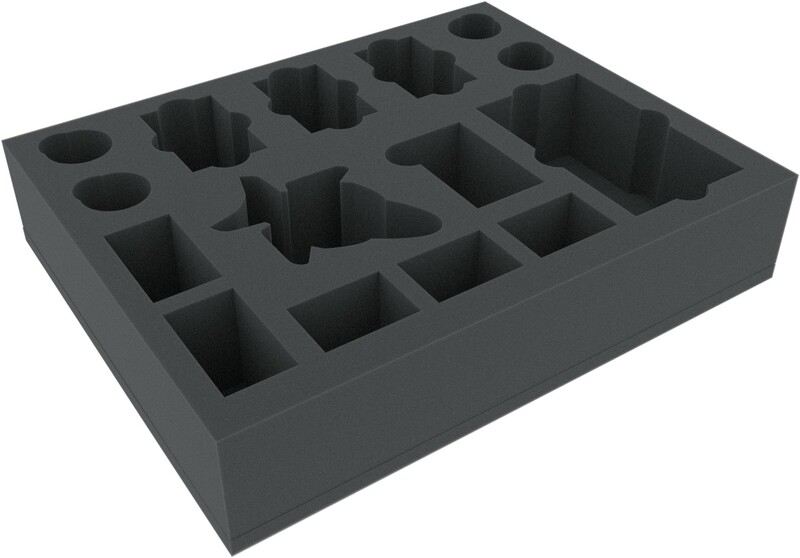 With these foam tray your Rebel units are save. 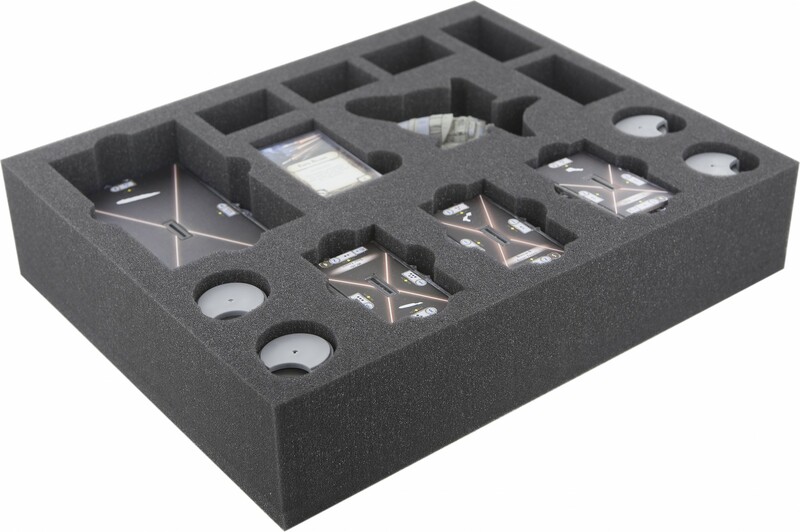 The mat fits exactly for the following miniatures and equipment: Assault Frigate Mark II, bases, cards in sleeves, token, Commando and Speed Dials as well as individually usable compartments. 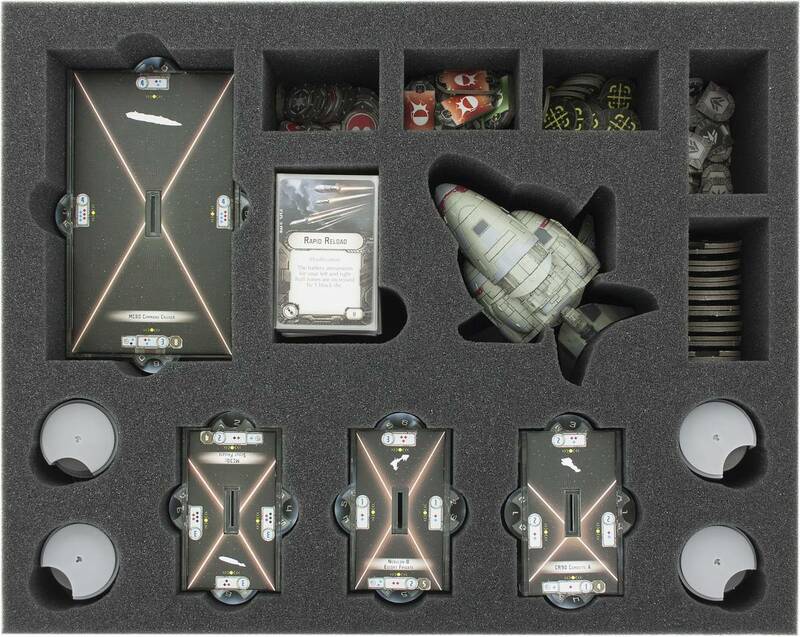 So you keep your Rebel fleet safely together.